Cyberbullying is a major and growing phenomenon that may take place by means of mobile devices, websites such as social networking sites or virtual worlds, videos, e-mails, or other means. This monograph brings you up to date with the latest research by leading scientists on this new form of bullying and indicates the directions future investigations may take. An introductory review examines, among other things, the differences and similarities of cyberbullying and traditional bullying. 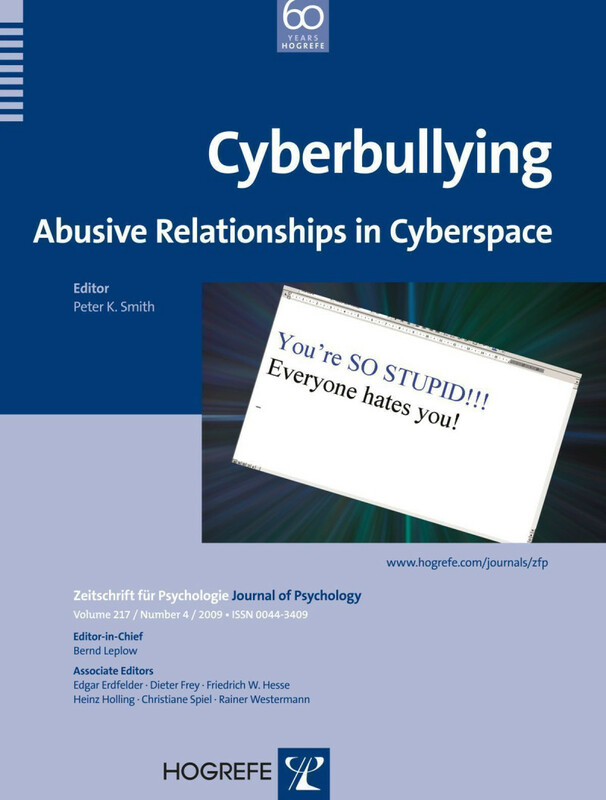 A series of original research papers by leading scientists then cover topics such as power imbalance, prevalence at different ages, “griefing” in virtual worlds, motivation, interventions, social information processing factors, emotional impact of bullying, risk factors, as well as methodological considerations in cyberbullying research. Further, “Research Spotlights” present promising, but not yet published results in brief form, “Opinion Pieces” allow distinguished contributors to air matters of current debate and discussion, and “Horizons” articles briefly describe major ongoing projects in various countries, such as the European Project on Bullying and Cyberbullying, the “Kids Online” project, and the Internet Rights Observatory.